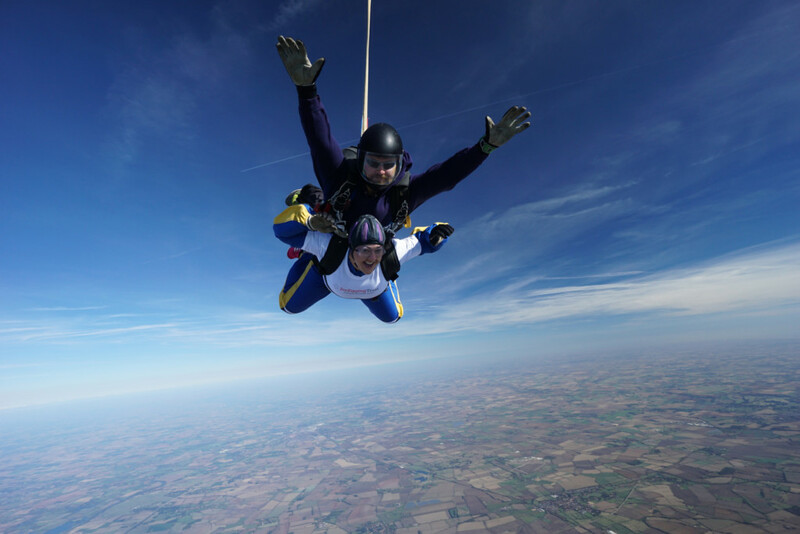 Flt Lt Jon Egging used to say “if you fly high enough you can always find blue skies” and at 10,000ft you will definitely find blue skies as you undertake a thrilling tandem sky dive, a once-in-a-lifetime opportunity, whilst raising funds to help young people across the UK reach their potential. 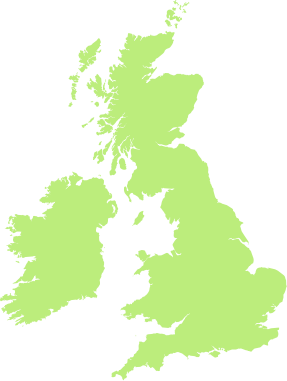 We have teamed up with UK Skydive who have drop zones across the UK and will coordinate your jump, wherever you live. All you need to do is pay a registration fee of £50 and raise a minimum of £400* sponsorship. 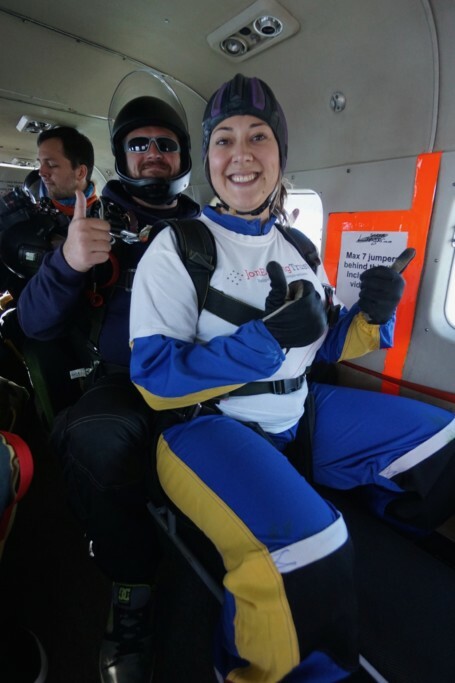 Hit the fundraising target two weeks before your jump and this will cover the cost of your skydive and raise invaluable money for JET enabling a minimum of 4 young people to benefit from one of the Trusts youth programme sessions. You will spend time with a British Parachute Association qualified instructor preparing you until you are ready to take the leap. A Tandem skydive is a combined freefall and parachute descent where you are strapped to a professional parachute instructor. You will leave the aircraft at 10,000ft and experience the rush and buzz of freefall reaching exhilarating speeds of approximately 120 miles per hour. At about 5000ft your instructor will release the canopy and you can then either help them steer the parachute home or ‘relax’ and enjoy the view whilst they do the work! Please ensure you have read the basic medical information before booking. 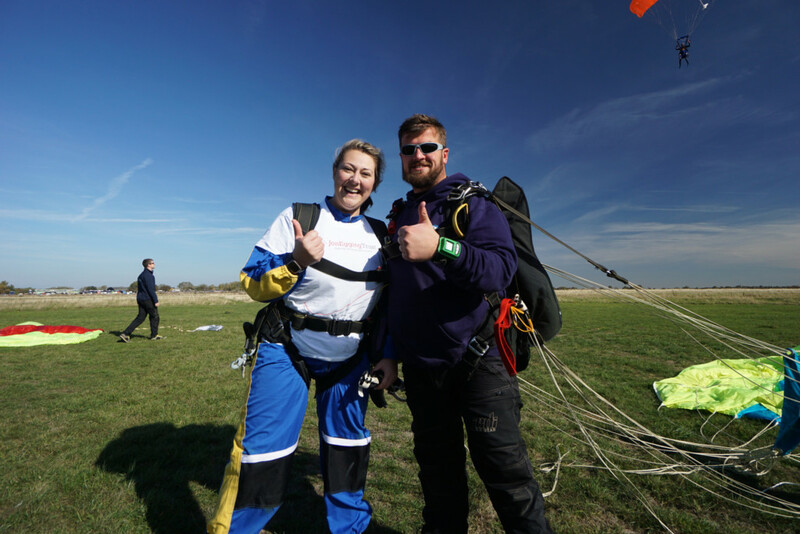 If you would like further information please contact our events team on events@joneggingtrust.org.uk or if it is a specific skydiving question please contact UK Skydive on 0800 009 3014. Due to the current fuel price increases (aviation fuel), several drop zones are now making a surcharge of up to £30 per person, should this be the case at your selected location UK Skydive will contact you and advise you of this prior to processing your booking. If you choose to jump at a drop zone that has added a fuel surcharge then you will have to raise that extra amount in addition to the £400 minimum amount to jump, eg if the drop zone you choose has added a fuel surcharge of £15 then you will need to raise a minimum of £415.